Creating forms and distributing them to the employees or other persons may consume much time. So, why don’t you use the entire thing digitally to save your precious time? There are quite easy solutions on how to create a form in SharePoint. Digital forms will not only lead you to save your time but also gives your freedom to start questionnaire worldwide. You can create your own CMS and start storing the data. SharePoint is a type of Content Management System which is an entirely web-based. The Share Point is now integrated with Microsoft Office. It was first released on March 28th, 2001, where a user uses it as a document management and storage system. Currently, SharePoint has almost 190 million users. Many organizations use it to build a website. However, an individual can use it to store, organize, share, and access information and access them worldwide. A web browser such as Microsoft Edge, Internet Explorer, Chrome, or Firefox is enough to start using SharePoint. It is not a kind of software which you install and start using on your local machine. Instead it, you have to use a web browser for it as I told earlier, however, if a user wants to access it using the local machine through a Microsoft product such as Word, PowerPoint, Excel, OneNote, Outlook, Access, etc. then yeah of course. Users can also make a fillable form in PDF. SharePoint is now integrated with Microsoft Office which means the developer of Microsoft has given you full power to make any form quickly. Even a non-technical person can also create a form using SharePoint. It not only saves your time and cost but also takes you and your business one step towards the digital trends. 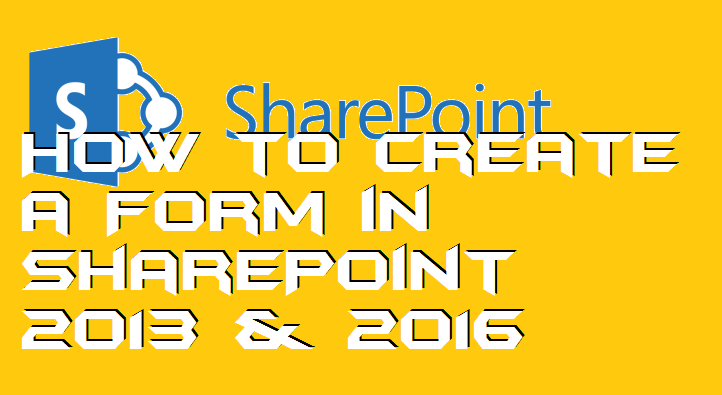 Here I have described a method about how to create a form in SharePoint in 2013 and 2016 both versions. Also, check these features of Microsoft Office 2019. Open your SharePoint account on your web browser. Now, click on the List tab. Then, click on the Form Web Parts option. Choose the Default Display Forms option. Now, you will be able to see the form creation area. Simple, use the on-page navigations and options to create a form. That’s it. Once the form has been created, save it on your account. To start using SharePoint online, you need to have a Microsoft account for that. Once you have it (maybe already have it), then you can head up to the SharePoint Plans website to buy a plan [LINK]. After the successful purchasing, you can log in to your account to start using Microsoft SharePoint online. On the basic plan, you will get 1TB of space, content management, intranets, content management, team sites, eDiscovery, and more features. Before you go to the creation of the forms on SharePoint, have a look at some examples of it. Examples are available on the internet which you can find by searching for it. If you are searching for a corporate, a business, or any other kind of form then make sure you mention the keyword in the search bar. It will ensure the filters of the search engine to show you better results. There are some forms templates are available on the form creation page at SharePoint. However, if you don’t find them useful for you and want to get some other templates then definitely you search for them. There are some third-party websites available which can provide you free or paid SharePoint forms templates. But, I will not suggest you to do so because of some privacy concern. There are some third-party tools available for forms creation which will help you to create an exciting form. However, I will not recommend you to go for it. Why? Because they might be copying your project in the background. I hope now you will be able to create a custom form in SharePoint 2013 or 2016. 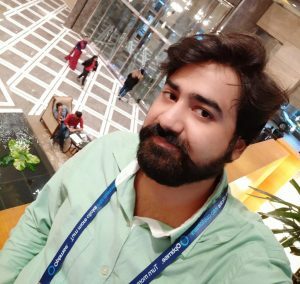 If a friend or yours or a relative need to know the method on how to create a form in SharePoint, then you must share it with them.